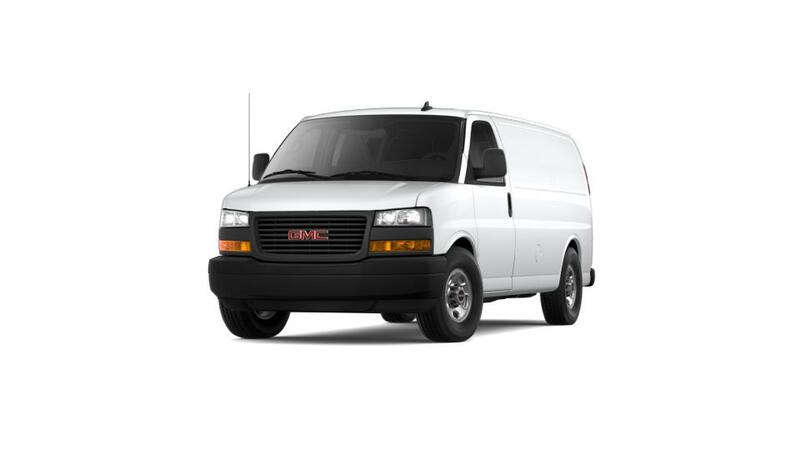 The GMC Savana Cargo Van is a full-size van that is versatile and adaptable for your needs. It features a maximum trailering capacity of 10,000 lbs. and a special tow/haul mode that reduces shift, making the Savana Cargo Van prepared to handle even the toughest jobs without difficulty. You will stay connected to your business and save time on the road with an available 4G Wi-Fi hotspot and remote start capability. You can also take advantage of GMC’s Business Elite program to receive professional grade service and owner perks for your commercial van. Go through the wide inventory of new GMC Savana Cargo Van models at our dealership, Bob McCosh Chevrolet Buick GMC Cadillac in Columbia, near Moberly.